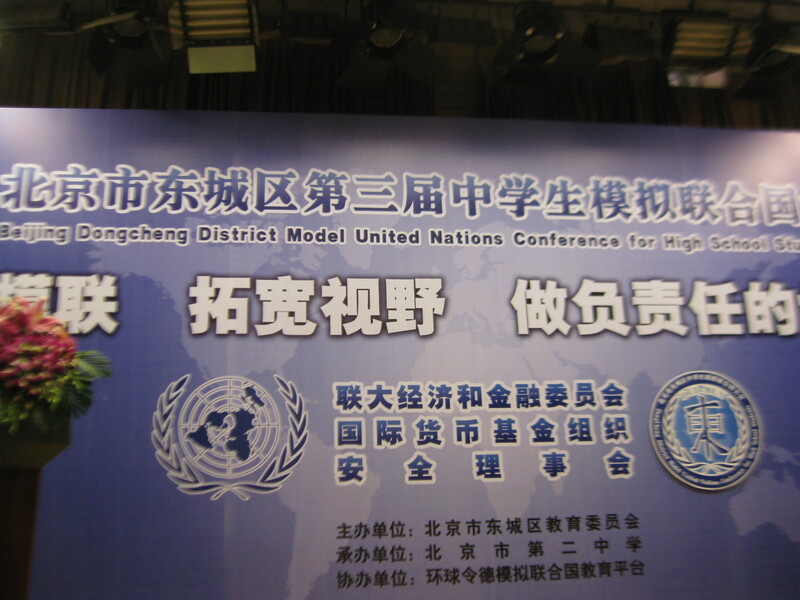 On 11 December 2011, I attended a district-wide Model UN conference at our school. 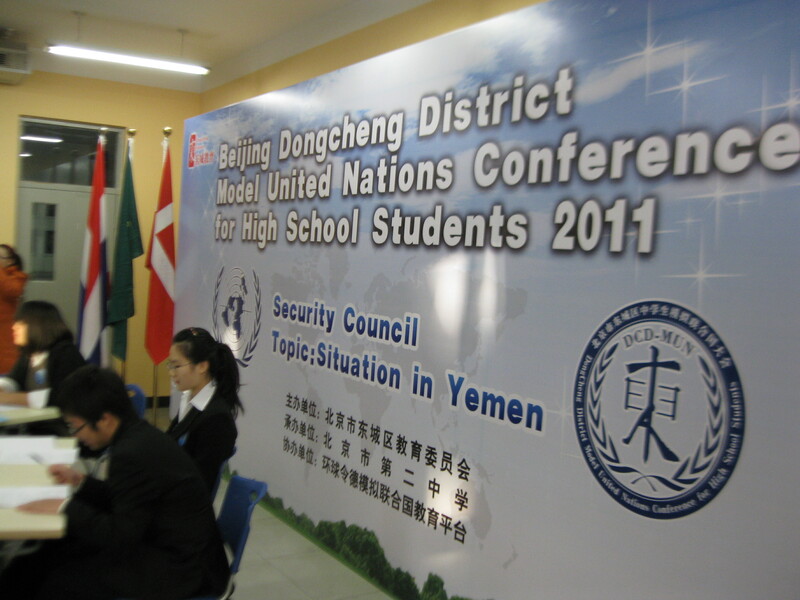 I attended a model Security Council session, focusing on the situation in Yemen. 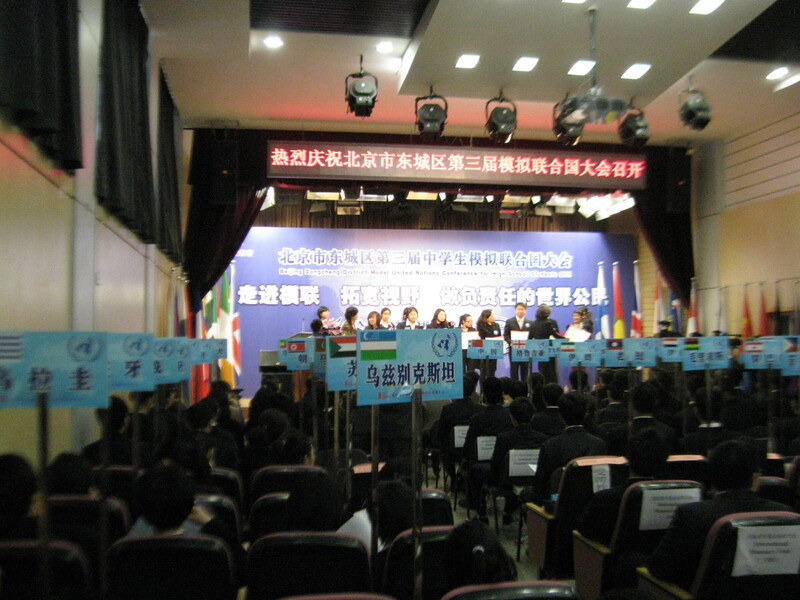 While the presentations were by no means perfect, indeed, the quality was inconsistent, I was overall very impressed by the level of thought and analysis that was present in the debate, and I greatly admired how well the students were able to deliver their presentations in English. Much was said about water resources, but also opportunities for women, education and the ever-present cost-benefit analysis. I had to chuckle at one point when one student, combining two well known names, referred to the “United Stations.” A political Freudian slip if ever I heard one! At the closing ceremony I was asked to offer some comments, which I did. I don’t think I have had as many photographers in front of me as I did at that moment! 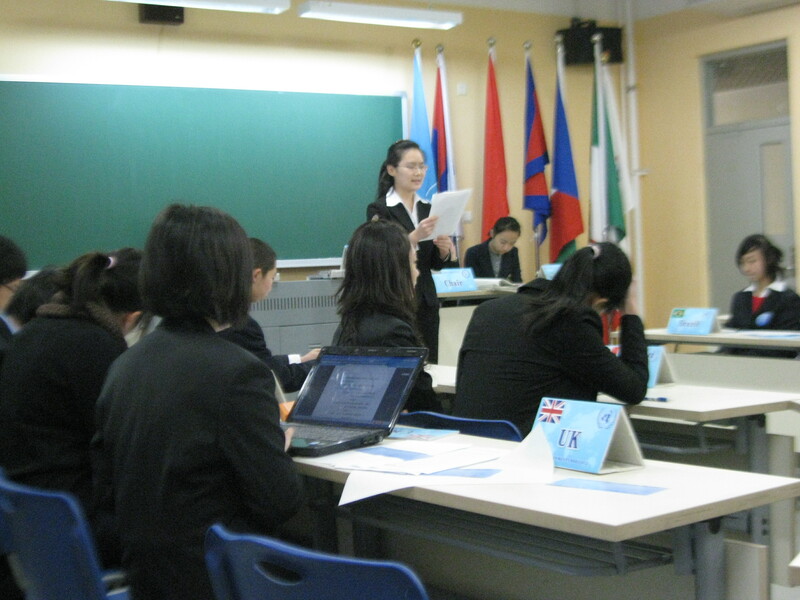 Thankfully, I was told that my comments, translated by a student at Tsinghua University, and who was the chair for the Yemen session, were warmly received. 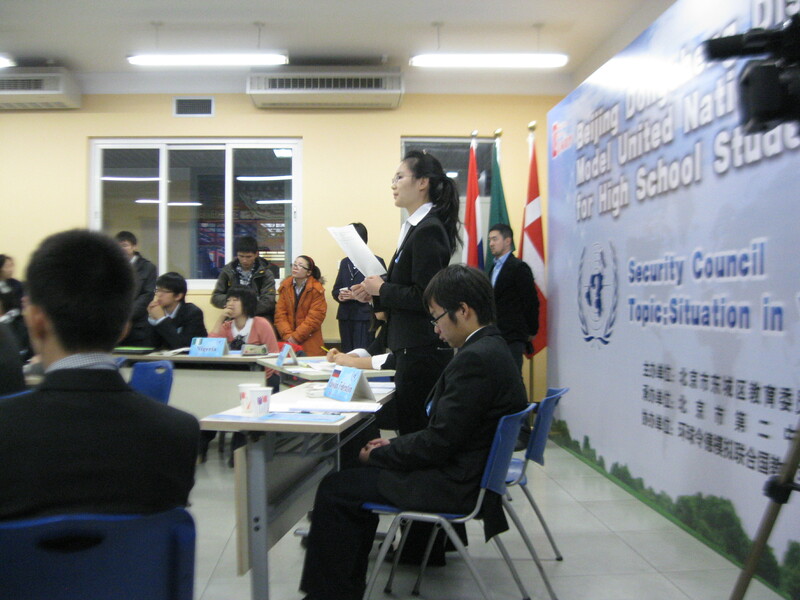 This afternoon (14 December), I found out one of the students at Beijing No. 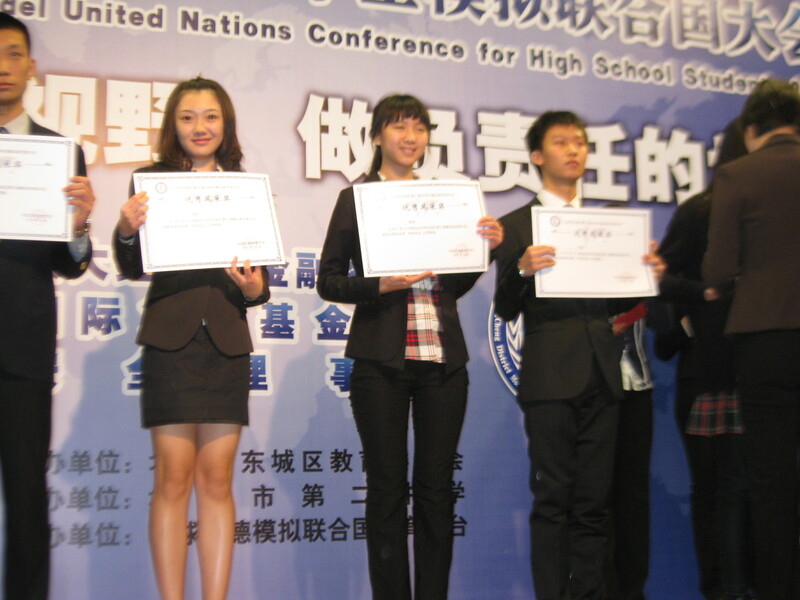 2, Kelly, a remarkable young lady with excellent English skills, has been selected to go to the United States as a representative ofChinathat will take her to several universities, including Harvard, Yale and Chicago. What an amazing opportunity for her! 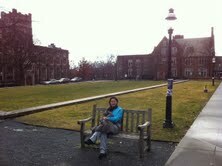 Here is a more recent photo of her (February 2012) taken while in the States, at Georgetown University.